• the BILLS are BELOW AVERAGE NFL cheaters! • they have a CheatScore of 23? • they've executed 6 real cheats! ? PUNISHMENT: In the late 1980s when the NFL started testing for steroids, the Bills had more players suspended than any other team. AWARDS EARNED: Repeat The Cheat!A Decade of Deceit!Avoid Media Scrutiny! "The wind can blow hard off of Lake Erie. 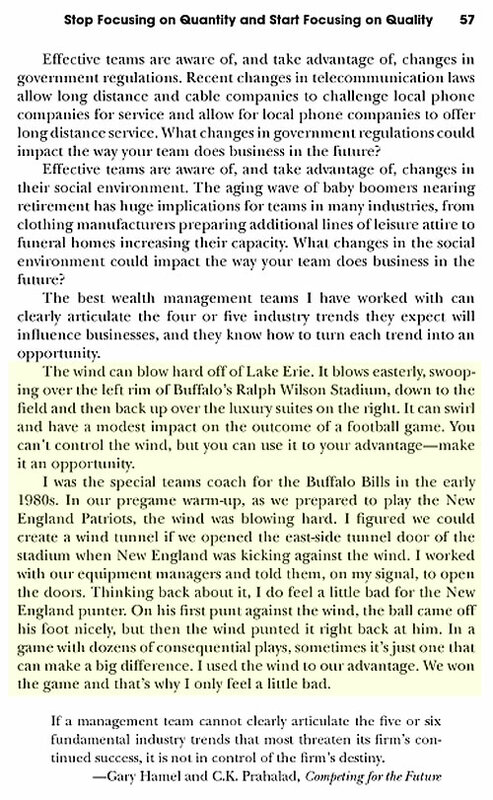 It blows easterly, swooping over the left rim of Buffalo's Ralph Wilson Stadium, down to the field and then back up over the luxury suites on the right. It can swirl and have a modest impact on the outcome of a football game. You can't control the wind, but you can use it to your advantage -- make it an opportunity." "I was the special teams coach for the Buffalo Bills in the early 1980s. In our pregame warm-up, as we prepared to play the New England Patriots, the wind was blowing hard. I figured we could create a wind tunnel if we opened the east-side tunnel door of the stadium when New England was kicking against the wind. I worked with our equipment managers and told them, on my signal, to open the doors. Thinking back about it, I do feel a little bad for the New England punter. On his first punt against the wind, the ball came off his foot nicely, but then the wind puntied it right back at him. In a game with dozens of consequential plays, sometimes it's just one that can make a big difference. I used the wind to our advantage. We won the game and that's why I only feel a little bad." Damn, I feel like a detective who got a detailed, step-by-step confession out of a suspect. 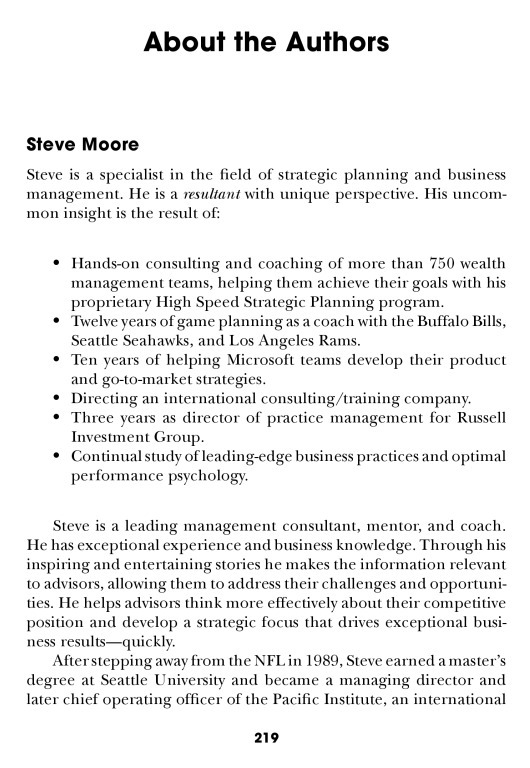 The highlighted text of this passage is here and a screenshot of the "About the Authors" page is here. PUNISHMENT: This is a beautifully confessed, pride-filled, first-hand cheating scandal complete with primary actor play-by-play. Moore was with the Bills from 1978 to 1982. From his description, it doesn't seem like he thought of this cheating as anything more than a bit of clever gamesmanship so we have to assume that it is more probable than not that he did it for the entire time he was there. This is at least Inflate/Deflategate-level cheating, although from his description, it sounds like it had a much greater impact on the game than the ball manipulations perpetrated by the Colts, Packers, Jets, Ravens, Bears, Bengals, Eagles, Cardinals, Saints, Texans and Panthers. Did I miss anybody? AWARDS EARNED: Dastardly Devious!All Blowed Up!Champs of the Cheat! SUMMARY: In their September 20, 2015 home game against the defending Super Bowl Champion New England Patriots, the Buffalo Bills illegally used artificial stadium noise to attempt (unsuccessfully) to slow down the Patriots offense. "The home team is permitted to play audio while the visiting team is on offense and the play clock is running. The audio must cease by the time the play clock reaches 20 seconds, or when the visiting team’s offense reaches the line of scrimmage, whichever occurs first. Pursuant to this policy, the visiting team’s offense is considered being at the line of scrimmage when the center touches the ball." Reported Mike Florio of Pro Football Talk, during the game "on multiple occasions the very loud third-down train horn blared when it arguably shouldn’t have." Continued Florio, "The Patriots used the no-huddle offense on multiple occasions, and on multiple occasions when the Patriots used the no-huddle offense the Bills were blaring the train horn." PUNISHMENT: NFL commissioner and former Jets public relations intern Roger Goodell apparently did not feel the need to make an example of the hapless Bills for this disgusting attack on the integrity of the game. He undoubtedly calculated that the Bills crushing defeat -- after a week of childishly running their mouths -- was enough punishment. SUMMARY: The NFL fined the Buffalo Bills $20,000 for violating the NFL's procedures for reporting injury information. The Bills failed to list defensive end Mario Williams on the injury report while being treated for a sprained wrist. Williams commented publicly on October 3 prior to Week 5 games about how the wrist had been bothering him and limiting his effectiveness. Although Williams fully participated in practices and games after sustaining the injury, he should have been listed on the report with a wrist injury and fully participating in practice. Williams has been listed on the Bills' injury report with a wrist injury the past two weeks. EARNED: "A Decade of Deceit!" CRITERIA: Repeat the same cheat at least ten years later! CRITERIA: Be involved in a scandal that is blown way out of proportion by the media and fans of other teams! Is there a Buffalo Bills cheating scandal that I'm missing? Do I have a fact wrong? A broken link? Email me with your comment and supporting link and I'll fix or add it.